Nimish Shah: Highest volume surgeon in UK in 2017 – outcome data. Nimish Shah undertook 175 robotic assisted radical prostatectomy surgeries in 2017, highest volume surgeon in the UK. He has now performed well over 1300 robotic radical prostatectomy surgeries. All his cases have been uploaded to the BAUS national audit. 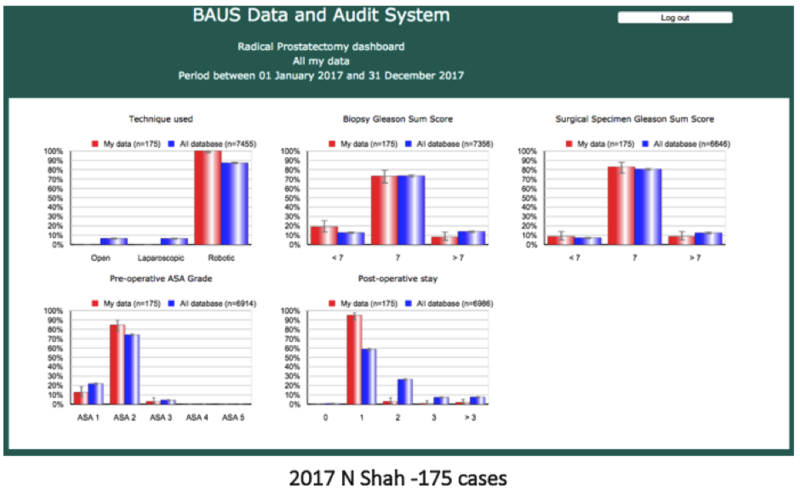 Below is a summary of his patient population who underwent radical prostatectomy in 2016. 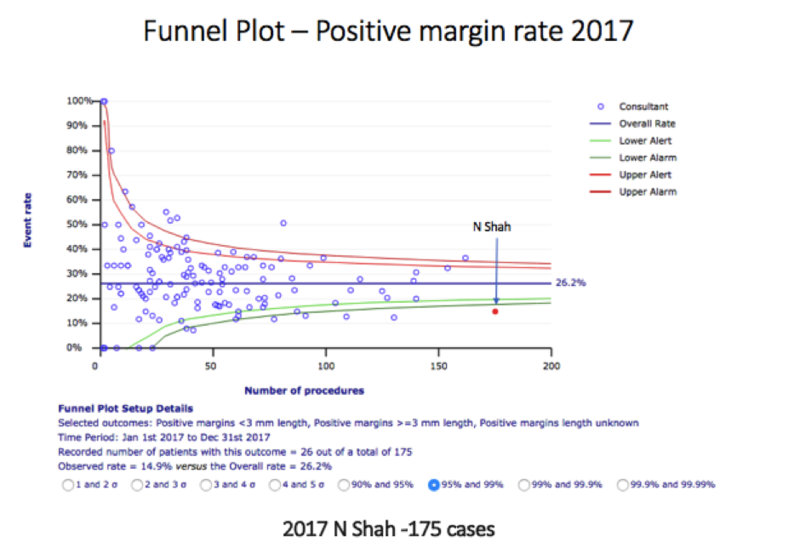 One of the markers of cancer clearance is the positive margin (presence of cancer cells at the limit of prostate gland excision) rate and the funnel plot below demonstrates Nimish Shah’s positive margin rate in 2017 overall was 14.9% compared to the national average 26.2%. His blood transfusion rate was 0.6 %, and overall complication rate was 4% compared to a national average of 67.3% and hospital stay typically one night (95%). Nimish continues to treat patients from across England, Jersey and Northern Ireland.